Last week’s economic reports included Labor Department readings on private and public sector jobs, the national unemployment rate. Weekly readings on mortgage rates and first-time jobless claims were also released. Monthly reporting on construction spending was delayed due to the government shutdown. ADP reported 271private sector jobs added in December as compared to 157,000 jobs added in November. Analysts expected 182,000 jobs added for December and said that December’s reading was the highest number of jobs added in almost two years. Large companies added 54,000 jobs, medium sized companies added 129,000 jobs and small companies added 89,000 private-sector jobs. The Bureau of Labor Statistics reported 312,0000 public and private-sector jobs were added in December, which was more than double November’s reading of 176,000 public and private-sector jobs added. Analysts predicted 182,000 new jobs added for December. In related news, the national unemployment rose to 3.90 percent from November’s level of 3.70 percent. While the unemployment rate was expected to dip to 3.60 percent, it rose due to more workers seeking jobs. Unemployment rates are determined as a percentage of workers actively seeking employment. A larger pool of people seeking work suggested expanding job opportunities. Freddie Mac reported lower average mortgage rates last week as rates for fixed rate mortgage were four basis points lower at 4.51 percent; rates for 15-year fixed rate mortgages averaged 3.99 percent and rates for 5/1 adjustable rate mortgages averaged two basis points lower at 3.99 percent. Discount points averaged 0.40 percent for 30-year fixed rate mortgages, 0.30 percent for 15-year fixed rate mortgages and 0.20 percent for 5/1 adjustable rate mortgages. In remarks made at the American Economic Association, current Fed Chair Jerome Powell joined former Fed Chairs Janet Yellen and Ben Bernanke to comment about the economy in 2018 and emphasized that Fed policy would be adjusted quickly and flexibly” if economic conditions warrant. All three Fed Chairs expected a slowing of economic growth in 2019, but their overall outlook was positive. First-time jobless claims rose by 10,000 new claims to 231,000 first-time claims filed. Expectations of 218,000 new claims filed were based on the prior weeks reading of 221,000 new claims filed. The increase in new claims filed was caused in part by holiday season fluctuations and more people actively seeking jobs. Unemployed workers must be actively seeking work to qualify for unemployment benefits. This week’s scheduled economic reports include readings on job openings, minutes of the December meeting of the Fed’s Federal Open Market Committee, and inflation. 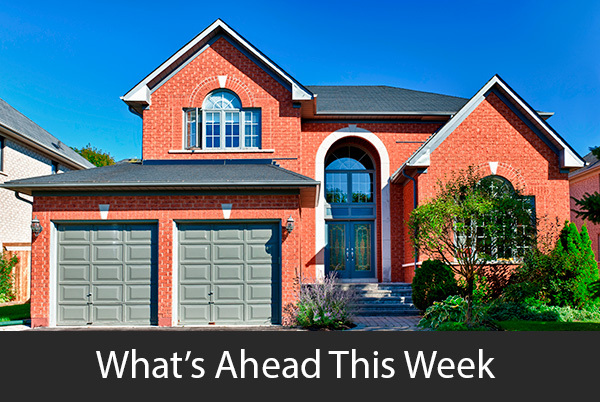 Weekly readings on mortgage rates and new jobless claims will also be released.